If you’re able to help with any of these items, please drop them off at either Shepherd’s Door in northeast Portland (13207 NE Halsey St, Portland, OR 97230) or our Burnside Shelter in downtown Portland (111 W Burnside St, Portland, OR 97209). 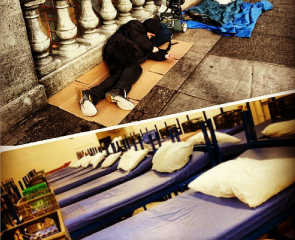 Shepherd’s Door accepts donations from 9 a.m. to 5 p.m. 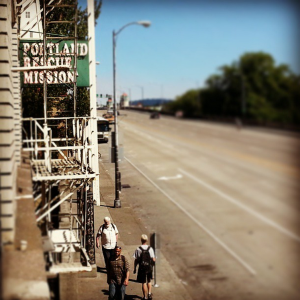 Thank you so much for your support of Portland Rescue Mission. We would not be able to do what we do without your support. Hello 🙂 Just wondering what I could do to help for the cold weather season. I have tons of yarn. I could make a lot of hats with that yarn. Please let me know what the best address is. I also want to help with gifts. I make jewelry and other things, so please let me know :)!! That would be incredible Michelle! The best place for donations is probably our Burnside Shelter, and that address is 111 W Burnside St, Portland, OR 97209. Hats and anything else that helps keep our guests warm is always ideal gifts to give. And for the jewelery, our ladies and Shepherd’s Door would love that! That would be a huge blessing. The address for there is 13207 NE Halsey Street, Portland, OR 97230. Thanks so much for thinking about us!